Vishesh Films have released its new romantic drama 'Jalebi' starring Varun Mitra, Rhea Chakraborty, and Digangana Suryavanshi. Busy promoting the film, the team was recently spotted in Delhi for the press conference. 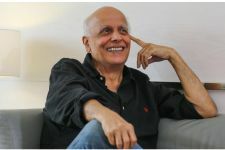 After producing successful films like Aashiqui series and Begum Jaan, Mahesh Bhatt is back with a bang making Jalebi a must watch film. 1. Dev and Aysha' story will make you remember your first love: The movie portrays how first love can shape your future and bring out the best and worst in you. With an unusual narrative style and unique direction, Jalebi showcases the emotional elements of being in a romantic relationship. 2. Soothing Music: The music of the film brings in the magic of eternal love and separation simultaneously. 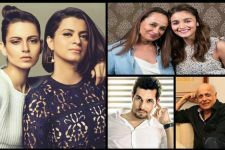 With multiple music directors on board, songs like 'Tum Se' and 'Pal' are climbing the music chart as they remind us of the 90's. Singers like Arijit Singh and Jubin Nautiyal have lent their voice for the songs that have left the audience spellbound. 3. 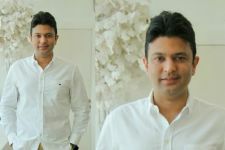 A Different Love Story: Vishesh films' charmed the audience with Aashiqui 2 back in 2015 and Jalebi is all set to create the magic all over again. The movie portrays the tale of love and longing and brings in the essence of a new age love story that expresses the complication between the pair. 4. Varun Mitra and Rhea Chakraborty's chemistry: For a young actor like Varun Mitra, he has set the bar high by getting into the skin of his character and to have played the role so efficiently along with Rhea Chakraborty. 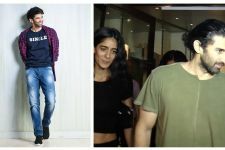 Both the actors have piqued audience interest through the rapport and connection seen in the trailer as well as the songs and we cannot wait to watch them in the film. 5. The Significance of the film: There are some movies that will enlighten you and some that would leave you awestruck. Jalebi is the amalgamation of both these things that will have an impact on you for a really long time. With just a day left for the movie to release, Jalebi is gaining popularity among the audience because of the freshness of the characters. "Jalebi- The everlasting taste of love", starring Varun Mitra, Rhea Chakraborty, and Digangana Suryavanshi is presented by Vishesh films in association with Mahesh Bhatt. Produced by Mukesh Bhatt, the film is slated to release on October 12th, 2018. Akshay Kumar's FIRST LOOK out for 'Housefull 4' ?